Pat’s theme this year, 'Let’s Go Camping!' has had us pull out our camping gear and get ready! This month, Pat explores what vehicles and shelters we camp in. The block download is after Pat discusses her inspiration for this month's block down below. The supply list and blocks during the year will always be found at our landing page for the mystery. You'll find a list of participating shops here. The four prior years are also still available at the ‘Mystery BOM’ tab above. And you will want to visit Pat’s page for additional TIPS & to enter your block for a chance to win her giveaway each month! Camping has so many elements and one is what we camp in. Do you love a tent, a trailer, an RV, or maybe a cabin? All are fabulous options and I have a feeling many of you have tried a few of them. These days I’m a ‘The Cabin is roughing it, hotel on the beach is better’ camper, wink!, but my first experience was a tent. And not just any tent. I was in the Girls Scouts in Germany, our summer camp was in the forest. The first day was setting up for the week ahead. We only slept over one night, I think that is all our leaders could stand, but on the first day we set up the tents. These were not pup tents, but ones that were a bit larger to hold several of us. The first year was quite the experience as we had to set up and use our own tents. That meant a team of scouts who had never pitched a tent, worked together to figure it out. You know how nice and straight the top of the tents usually are? Not so much on my team! The middle of the tent just about touched the ground. And it stayed this way the entire week. And on the last night, my team slept in it! The next year our skills had improved, or maybe I found a better team to be on! I’ve stayed in a few other memorable things, be sure to visit my website to hear about a few of them. 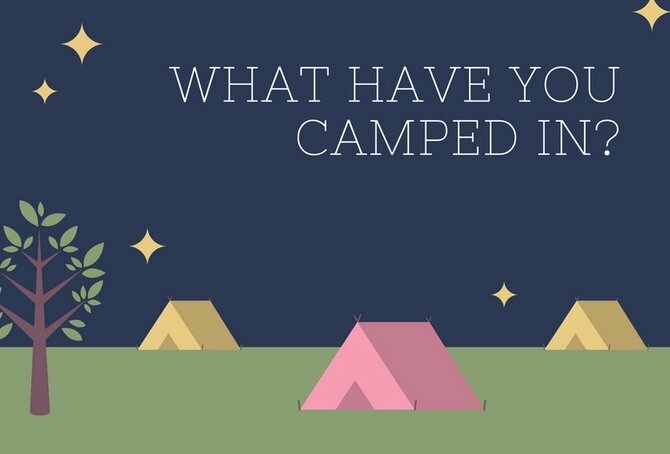 I’d love to know a unique or memorable camping trip you had, leave us a comment below. The first time I saw a vintage trailer I have to admit... I wanted one. In aqua or red... ok... RED! I want to decorate the inside, doll it all up. My friend Eileen Hull is a very talented Sizzix die designer. She works with mostly paper, creating amazing dies and things from them. This camper is hers. She took the dream so many of us have and made it real. Eileen fixed up her camper and named it Scotty. She travels around the country teaching workshops, how fun is that! If you go to the crafting trade show, you would also find her camper as her ‘booth’ at the show. This is Scotty enjoying Eileen’s backyard before they head out again. 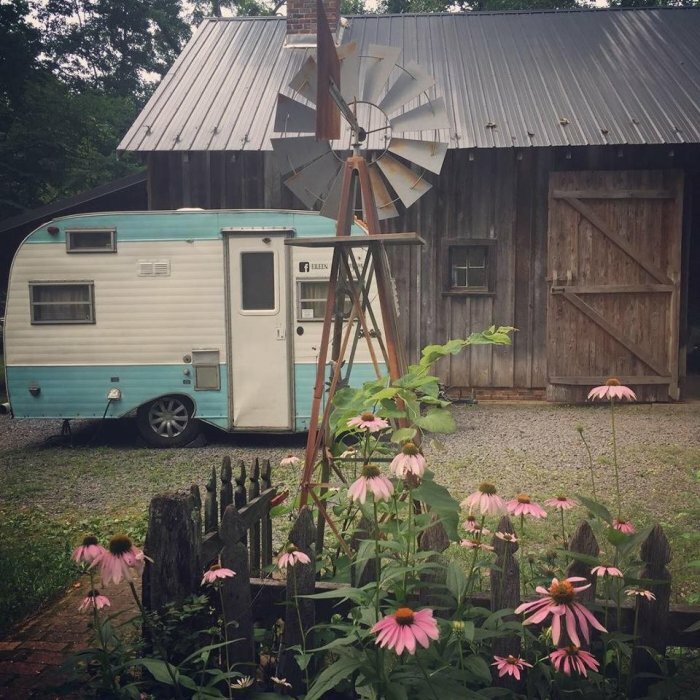 If you have (or want) a camper do you ‘Go Big’ with an RV or are you ‘cozy vintage camper’ quilter? Two more blocks to go, I hope you are working on your setting so that when you do the last block you can sew it up! 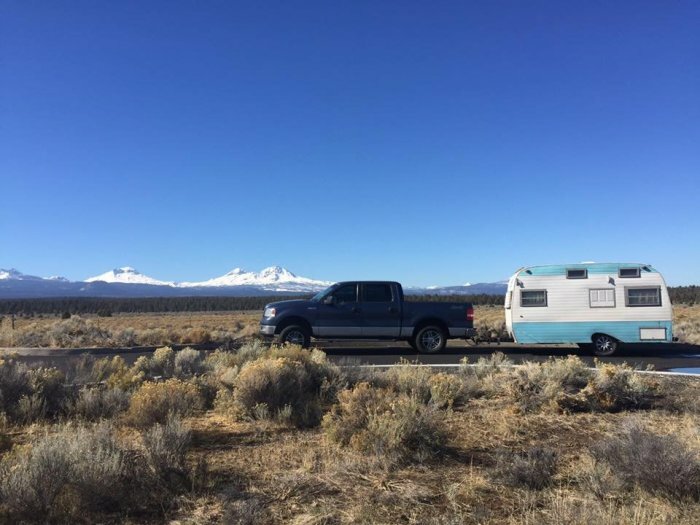 Do you have a favorite trailer, cabin, or tent to camp in? Perhaps something else entirely (hammocks anyone)? We’d love to hear it, tell us in the comments! What's your favorite 'New Friend' memory from camping?? Poppy Quilt 'N Sew is a quilter's dream, located just north of Austin, in the quaint historical town of Georgetown, Texas, only minutes west of I-35. We have what the quilter needs, a wide selection of quality cotton fabrics, from all the major suppliers,including, but not limited to, Hoffman, Kaffe Fasset, Hoffman, Moda, Northcott, and Timeless Treasures, to name a few. Headquarters for batiks and black and white prints. Great selection of books, patterns, and notions, as well. 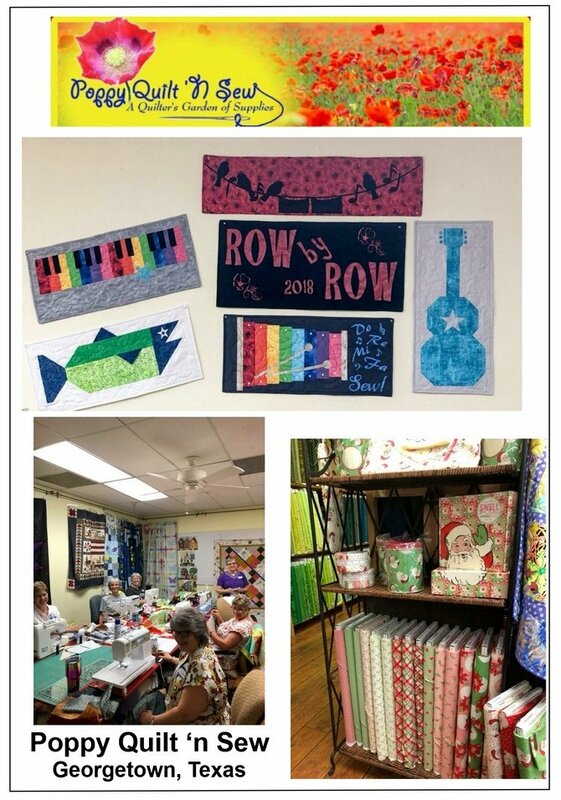 A variety of classes is offered for the quilter and craft sewer. Visit our retail store or shop on line. Experienced, Knowledgeable staff! Personal touch and great customer service is our goal! 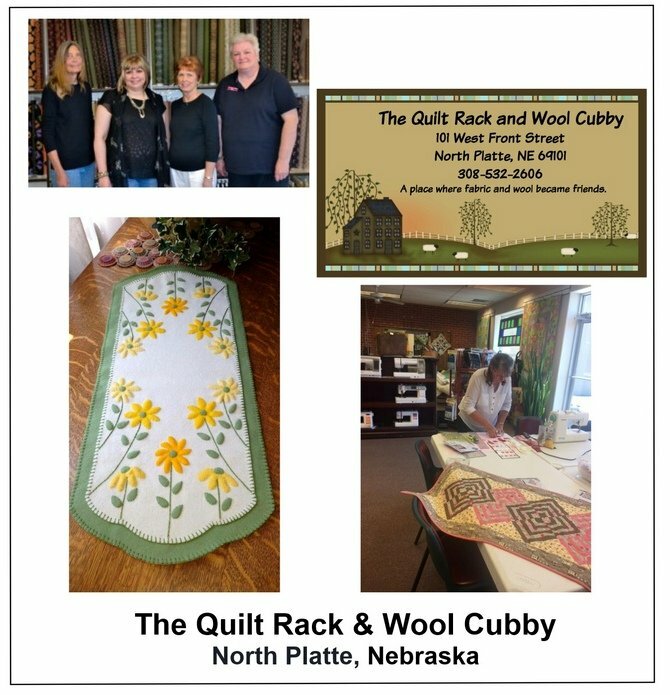 The Quilt Rack has been providing the North Platte, Nebraska, community with a wide range of quilting, rug hooking, and wool appliqué supplies since 2002. Located downtown, along the railroad tracks, our historic building was once part of a 1940's lumber yard, inspiring our tagline "We sell fabrics by the yards." Originally starting out with about 650 bolts of fabrics and approximately 3100 sq ft of business space, we never imagined we’d be able to fill up all that room…boy were we wrong! Today, customers enjoy our expanded 5000 sq. ft. shop, featuring over 4500 bolts of fabric, project displays, notions, books, patterns, and more, along with a spacious, inviting classroom. 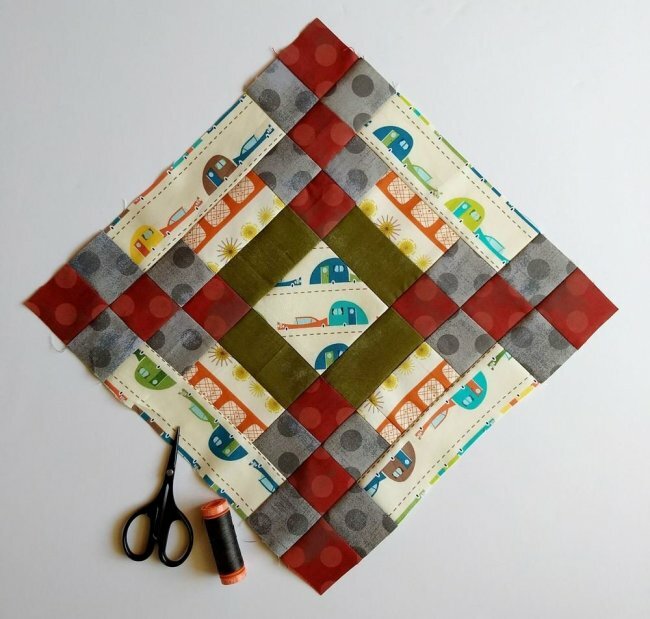 No matter your skill level or stitching style, The Quilt Rack has all the sewing essentials you need to turn your creative ideas into reality. Please don't hesitate to contact us with any questions you may have regarding our products or services...our talented team of experienced quilters is always happy to assist you with everything from fabric selection to project advice to ensure that your crafting experience is as enjoyable as it is successful. Whether you drop by our store location at 101 West Front St., or shop with us here online, you'll be treated to great product variety, prompt, efficient order handling, and friendly, personalized customer service! Are you loving our camping theme this year? Leave me a comment below telling me about your favorite things to camp in!